Two million times each day, the “Publish” button is clicked and a blog post goes live. But we know from research that 75% of these articles get no results, or at least no traction in search or social. We also know from research that the average post takes 3+ hours to create. 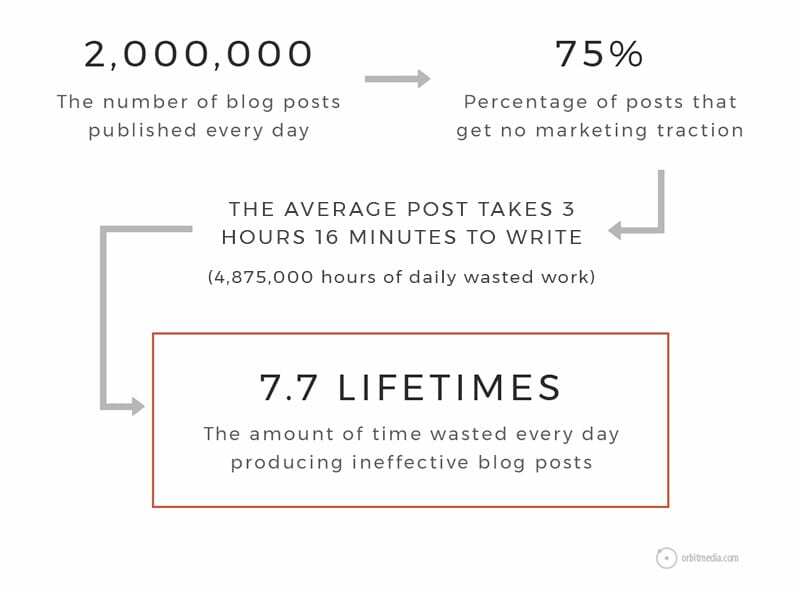 Do the math and you’ll find that hundreds of millions of hours are wasted each day doing content marketing. It all adds up to 7.7 lifetimes that are wasted every day writing posts that get no results. Tragedy! But there’s a surefire way to get huge value from your next post. It’s automatic. And it’s so efficient, we call it zero-waste marketing. Who can use this approach? Especially for business-to-business (B2B) companies, the sales process often involves strategic consultation. It’s an education process. And the company that shares the most expertise wins the client. 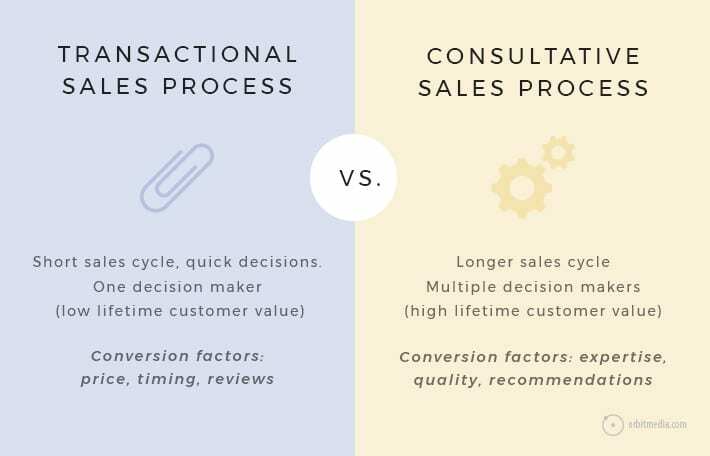 Is the psychology of sales in your industry transactional or consultative? If this is you, you have an opportunity to create content with a laser-guided focus. You can become a thought leader in the minds that matter most. Your next customer is your most important audience. Look at the prospects in your sales funnel, write something specifically for them, then send it to them directly. This isn’t content for marketing. This is content for sales support. Take a close look at the prospects in your pipeline. Do they have anything in common? What questions are they asking? What articles would support the sales conversations you’re having? Find topics that are relevant to the leads you’re already talking to. Spend a few hours writing it up. Spend another hour editing, adding images and formatting for web content best practices. Within a day or two, you’ll be publishing a piece of laser-focused content. Now call the client and tell them you have something you’d like to share. Your company does logistics management for the dairy industry. There are five companies considering hiring you. Three of them have big questions about how to accurately forecast demand for fresh milk across the supply chain. You’re an expert at this. You’ve explained some of it to them, but it’s not translating well through to all the decision makers. Beyond improving your closing rate, you’ve done two things. You’ve created something portable. You can send it to several people at each potential client. They may even share it with each other. You’ve created something durable. This article will live for months or years on your site. You can send it to prospects again and again. It may also get traction in marketing. You know who your ‘A’ clients are. They check all the boxes: they appreciate your help, they can afford you and they get a ton of value from your services. The trick is connecting with them all. Your blog is your best networking tool. 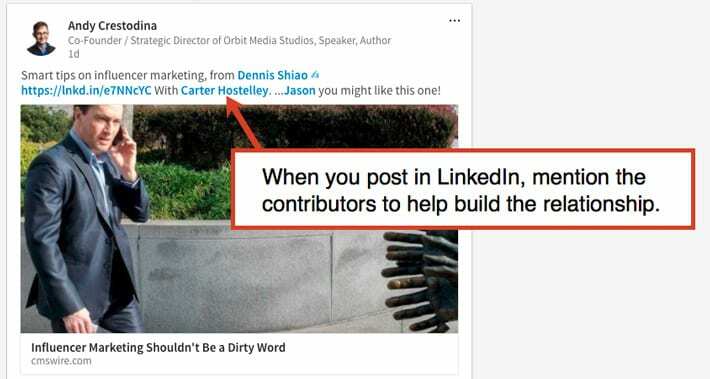 Here’s how to connect with those A-list companies. Create a format for content that puts them in the spotlight and puts you in front of them. You can interview them for a post, but you’ve got a better chance if you go big. If you really want to impress your next prospects, upgrade the format beyond text. This works really well for production companies, because the content itself showcases their talents. Echelon Design offers high-end exhibit design and video production services. To meet local businesses and show off their talent at the same time, they created a series of videos called 12 for 12. They’re beautiful little shorts that make each company look amazing. But the companies aren’t clients. They’re companies that Echelon wanted to meet. And the content opened the door. Those doors included Goose Island, Vosges Chocolate, intelligentsia Coffee and Second City. What brand wouldn’t want to be on this show? Content is the skeleton key that opens every door. Check out the Vosges Chocolate episode. This is networking content at it’s best. When you collaborate on content, you’re partnering on a project. You’re working together. It becomes easy for them to imagine working with you more. They were interested. You had a good first conversation. You learned a bit about their challenges and goals, but then you never heard back. You left a message. Then another. Now months have passed. Time to give up and move on? Not yet! Your next article is the perfect excuse to reach out. Don’t make another sales call. Reach out with a bit of collaborative content in mind. No one loves a sales call. But everyone loves to be interviewed. Please, please don’t make a sales call in disguise. That’s not what I’m suggesting. But networking is about keeping in touch. Content can keep you on the radar of people who considered you in the past. Of course, it’s a crazy thing to say because marketing would add to their lead flow, but let’s set that aside for now. Here’s how to use content marketing to increase referrals by strengthening those referral relationships. People refer leads because they met someone who needs your help …and they thought of you. So the key is to stay top of mind. Content can help. Think about your friendly neighborhood referral partner. What do they know a lot about? 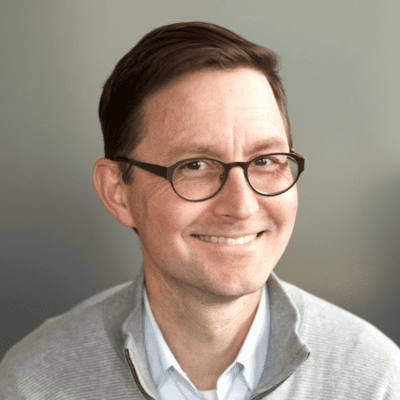 What content could showcase their expertise on this topic? Got an idea for an article? Now, reach out and ask for a quote. Add their face, name, company and link. Once it’s live, send them a nice note thanking them for their contribution. Handwritten is best. Your company offers sales training. You sometimes get leads from HR Directors, so one of your goals is to build relationships with more of these people. HR Directors know a lot about culture and retention, so you decide to write an article on this topic in collaboration with a few potential referral partners. Showcasing their expertise on your site will strengthen the relationship. And during this process, don’t be shy about reminding them what you do and who you work with. Keep the conversation going. Content can also help create new partnerships. Just find people in non-competitive businesses who work directly with your target audience and include them in your next article. How can you find them? Use social media to find and connect with virtually anyone you can imagine. You’re an architect in Kansas City. If you had more relationships with interior designers, you would get more referrals. 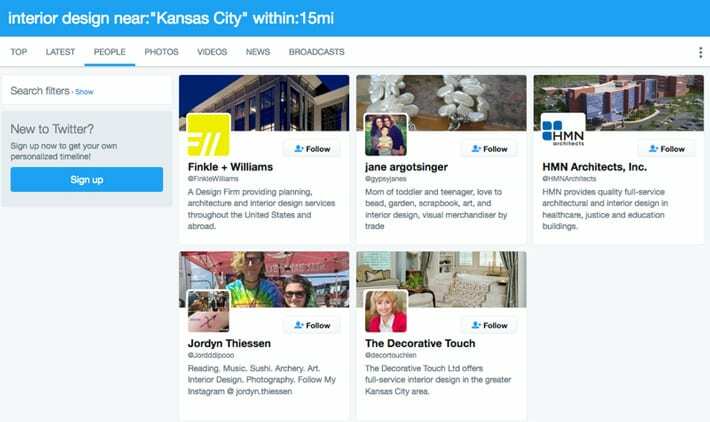 So you search Twitter for “interior design” in or near Kansas City. You find five of them. Note: You do not need to be active in social media to use this approach. You don’t even need to have a Twitter account. We’re using social media as a research tool. A phonebook. Now we reach out to each of these people and companies. You can use email, their website contact forms or the phone. Our goal is to build a close relationship so the phone is always best. Once we connect, ask them if they would like to be interviewed for an article you’re writing about interior design trends. You’re hoping to feature their expertise and share their insights with your audience. Once it’s live, connect with them on LinkedIn if you’re not connected there already. Share the article there and mention them in the post. Finally, keep the conversation going. Tell them about your services, how you help people. Suggest that they keep you in mind. Automatic success. Results even before you publish. It’s lovely to rank, to get shared and to get visitors. But there is more to life than traffic. A few strong relationships can be far more important than numbers in your Analytics. And sales are better than marketing. So use your content as a networking tool. 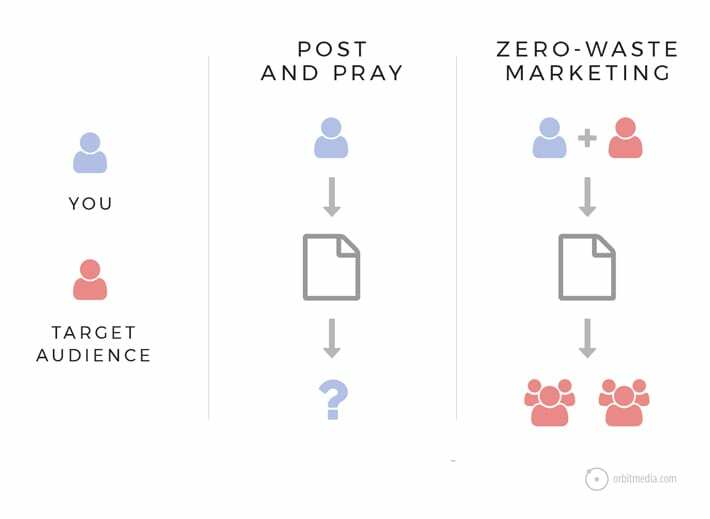 Do some collaborative content marketing. When networking is the goal, success is automatic. Results are guaranteed. Great article — very informative and strategic. Thanks! As sales and marketing become better friends, these are some great ideas for these teams to collaborate internally. Thanks, Charleen. It’s kind of liberating to write without worrying about traffic. It’s a totally different approach! Absolutely spot on Andy. I work for a B2B company and the idea of even more targeted posts than I would have considered makes a lot of sense. Love the idea and will try that out in the near future. I am always looking for ways to add more vakue to our sales team efforts while trying to get first hand feedback of what is happening at the ‘coal face’ and this would be a great way to join the dots for sale on how that information can help me to help them. Thanks, Paul. Hopefully, the sales team’s eyes light up when you suggest a few of these ideas. Any excuse to not do the same follow up call for the hundredth time! I hope this leads to some good collaborative ideas. Best article I’ve read this month. Really great ideas for expanding the benefits a blog can offer. Thanks, Jacob. That means a lot to me because I know you read stuff from great writers! Hope all is well in Portland. Love the article, Andy. It reminds me our conversation couple weeks ago. The KPI of using this approach is not traffic, it’s friends that you make and keep. I think Andy’s Narrative is brilliantly orchestrated, written & oh so true. Of course, there’s never enough hours in one’s day (alone) so I would also add: Wake up 15 minutes early each day & go to bed 15 minutes later at night. By the end of the week, you’ve tacked on over 3 hours in which you’ve just grown more of your Business in order for that Content to s-p-r-e-a-d both near and afar.